Too much authority was given to former Nissan chairman Carlos Ghosn, an external panel of experts has found. Its report was commissioned to find ways to improve management and corporate governance at Nissan. It found a “concentration of all authority” in the former chairman. Mr Ghosn was arrested and charged last year with underreporting his pay package for five years from 2010 to 2015. He has consistently denied any wrongdoing. 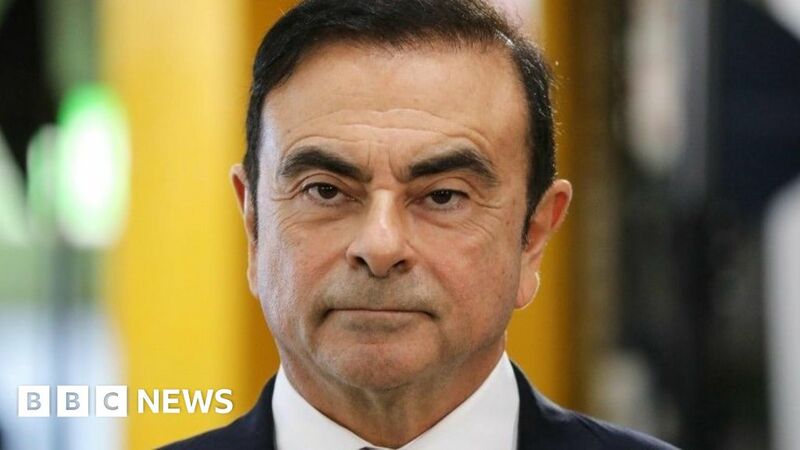 He has said his arrest was the result of a “plot and treason” against him – a bid by some Nissan executives wanting to stop his plan to integrate Renault, Nissan and Mitsubishi. The report acknowledges that the panel did not interview Mr Ghosn. But it said that Mr Ghosn had concentrated so much power in his office, that other departments which should have provided checks and balances “did not necessarily function effectively”. Mr Ghosn was first detained on 19 November and further charges were bought against him in January. He was released on bail earlier this month after more than three months in detention. Strict bail conditions for Mr Ghosn, including video surveillance and restricted use of his mobile phone, were set for his release. His computer access is restricted to his lawyer’s office during weekday daytime hours. If found guilty of the financial misconduct charges, Mr Ghosn faces up to 10 years in prison as well as a fine of up to 700m yen, according to Japanese regulators. Mr Ghosn was the architect of the alliance between Nissan and French carmaker Renault, and brought Mitsubishi on board in 2016. He then ran the alliance of the three global carmakers as both chief executive and chairman. His status was such that his life was serialised in a Japanese comic book. In a 2011 poll of people the Japanese would like to run their country, Mr Ghosn came seventh, ahead of Barack Obama, who was placed ninth. Dance Video by Alexandria Ocasio-Cortez Inspires Delight. Condemnation? Not So Much.